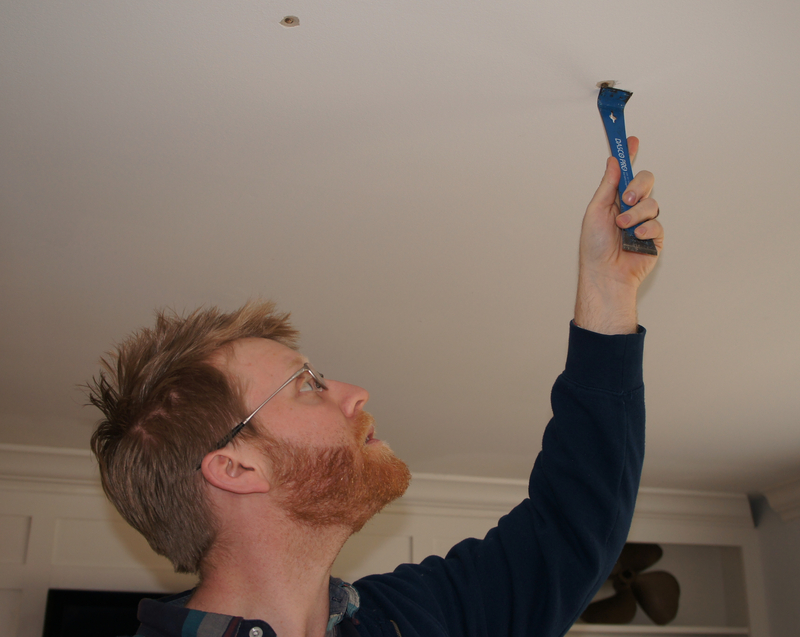 Winter means some general home maintenance issues are popping up that we have to attend to, namely, caulk. 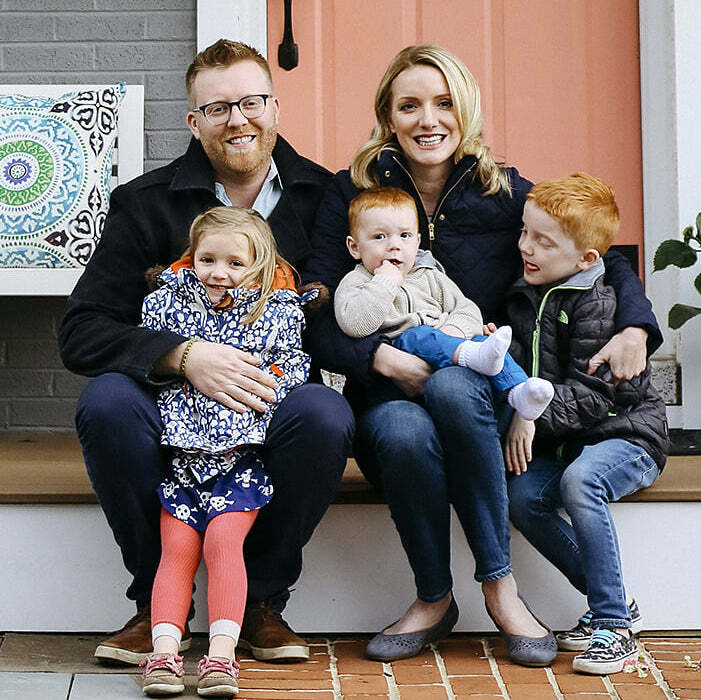 All of the beautiful molding and trim that we fell in love with when we bought our house in April, isn’t looking so hot after the freezing temperatures caused all of the caulk to shrink. 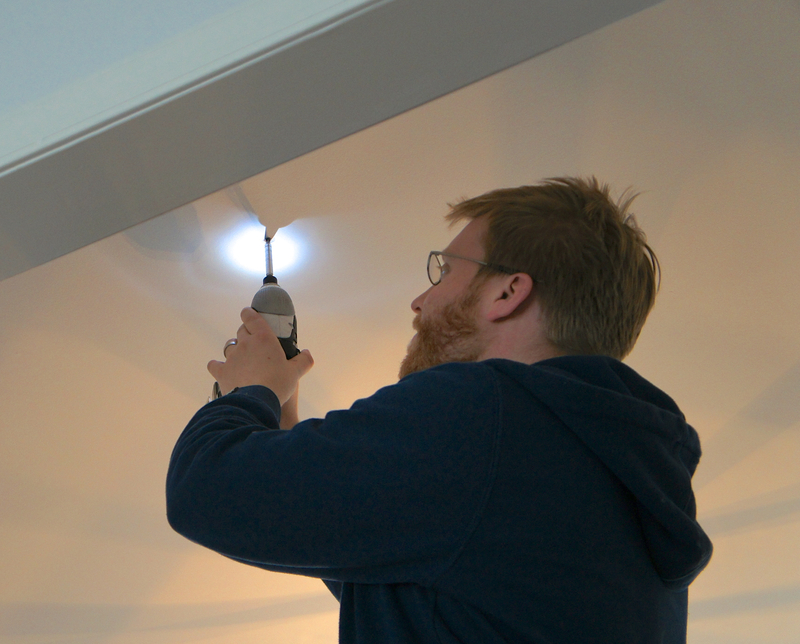 I haven’t quite finished that project, so I’ll share it in the next couple weeks, but while I was getting up close and personal with the ceiling, I came face to face with another issue. Nail pops. 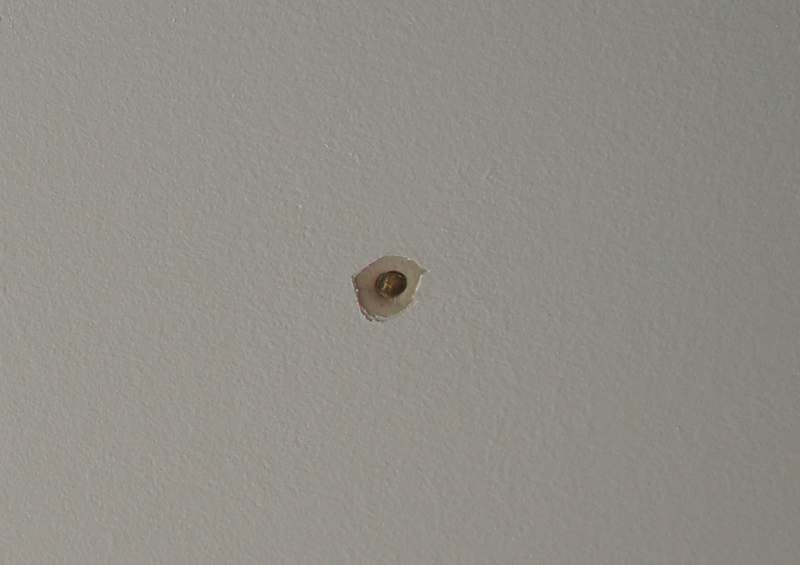 Nail pops are common in homes built in they 1980’s and 90’s, when they used nails to install drywall instead of screws. As the house settles the nails drop down and a bubble appears in the ceiling. Some of ours cracked when we installed our hardwood floors upstairs, leaving unsightly blemishes. Luckily, they’re an easy fix. 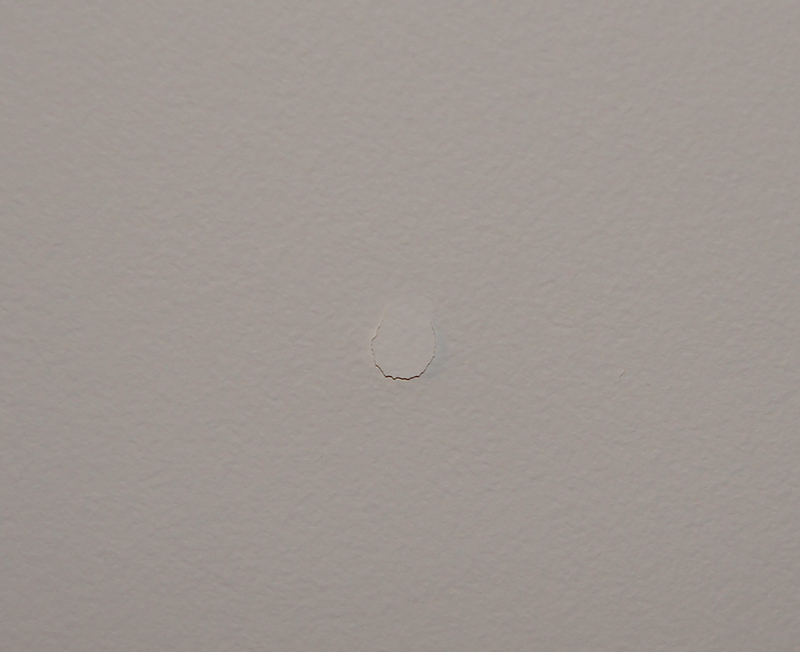 First, we scraped off the paint and spackle to reveal the nails, which Jason pulled out with a chisel. He then replaced the nails with drywall screws to ensure the pops wouldn’t reappear. 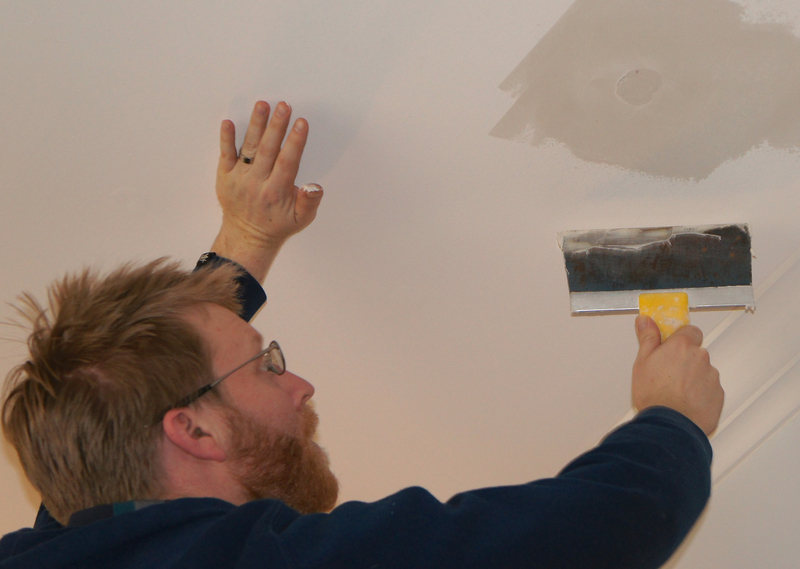 If the nail is already settling, simply spackling over it will result in the pop coming back in a few months, so it has to be replaced with a screw. After all of the nails were gone he spackled over them with drywall compound. They sell quick dry spackle, which is great if you’re just fixing a nail hole in a wall, but for large holes like these I feel like the regular compound works better. It needs at least a day to dry, after which I will sand everything down and touch up with ceiling paint. Now that our Sunday house project is finished, it’s time to start cooking up some football snacks! Happy Superbowl Sunday.